Start-ups and young entrepreneurs from all across Europe are invited to apply for the 2016 Green Alley Award by July 27, 2016. The Green Alley Award is looking for the best business models centred on the circular economy, resource conservation, and recycling. Founders can submit their ideas and concepts online at www.green-alley-award.com. The Green Alley Award is given once a year to entrepreneurs and start-ups of the circular economy, organized by a network of partners in the Circular Economy and European entrepreneurial scene. 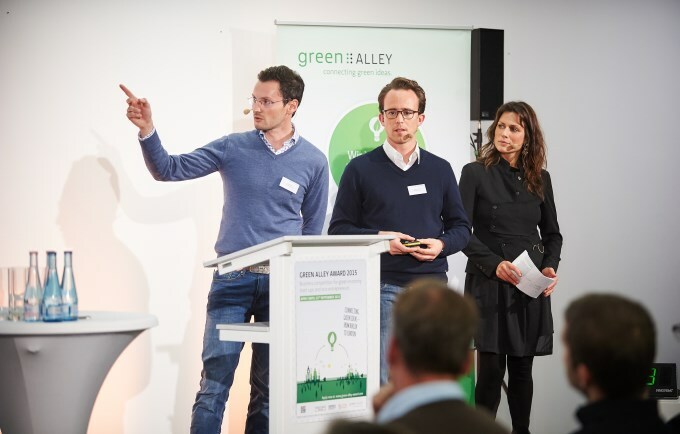 Green Alley, the initiator and circular economy investor, has been working with Seedmatch, Germany’s crowdfunding pioneer, since 2014. Additional partners include the London accelerator Bethnal Green Ventures for technology driven start-ups in environmental and social areas. This year’s lead partner is the European Recycling Platform (ERP) Finland, a recycling supplier for electrical and electronic equipment as well as batteries. The establishment of a circular economy is very high on the European Commission’s agenda – not least because it estimates the annual savings from waste reduction, eco-friendly design, recycling, and similar measures at 600 billion euros. By the end of 2016, the Commission thus intends to adopt a new EU circular economy package with ambitious goals. To achieve this, investment and innovation will be necessary – meaning out-of-the-box thinkers with good business ideas stand to profit. This year, the Green Alley Award is focussing on Finland, the model of a green economy. Not only do the Finns boast a high level of environmental awareness, the country is also one of the few in Europe that has already developed strategies for more efficient use of resources, as revealed by a new report from the European Environment Agency. The strongest applicants for the Green Alley Award will be invited to participate in the finals in Berlin in October 2016. In individual workshops with experts from the circular economy, founders will receive valuable advice on financing and business development. The start-up with the most compelling approach will be selected by an international jury and receive a package of benefits and services worth 30,000 Euros, including a chance at financing through investment and crowdfunding.